The state of New York is an excellent haven for foodies. Almost every city in New York has excellent restaurants to boast. One of these cities is Troy. You can find whatever you are looking for: Asian, Mediterranean, Italian, and of course, the classic American cuisine. Dinosaur Barbeque is a household name, not just in Troy, but in the whole of New York. If you are looking for the best ribs, this is the place to go. Dinosaur Barbeque constantly tops the list of restaurants that you should try and visit when in downtown New York. However, it is recommended that you first book a reservation on their site, to make sure that you will get a table. Testo’s Restaurant and Pizza has been fondly labeled as the #1 best Italian pizza in Troy. A trip to this little restaurant will make you feel like you are actually in Italy; the degree of authenticity is high, as the chefs make sure that you genuinely have the best pizza and pasta experience. Another great thing about Testo’s Restaurant and Pizza is that it is situated around a very friendly neighborhood, which instantly makes diners feel extremely welcomed. The United States of America is well-known for its diners, and New York boasts an abundance. One of these diners is Alexis Diner, which is known as one of the best places for a breakfast run. If you happen to visit it, frequent visitors recommend trying out their Corned Beef Hash for an excellent breakfast for champions experience. If you are Asian, or if you are craving for a Japanese meal, a trip down to Troy will lead you to Unagi Sushi. For a Japanese restaurant, it is considerably well-priced, as they offer impeccable service. Unagi boasts of serving each dish with creativity, from simple tempura to more complicated sushis. The best part is that the fish are fresh, one that is extremely crucial when serving a great Japanese meal. If you are traveling with a group of friends, you may want to consider having dinner and after-dinner beer at Pecks Arcade. It has a very cool vibe, perfect for the youngsters. Pecks is a classic All-American restaurant, but it also offers a wide variety of vegan options. So, if you are a vegetarian looking for a nice meal, this place is excellent for you. No, Alibaba is not just a shopping site; it is a restaurant, too. If you’re craving for Mediterranean food, Ali Baba will not disappoint you. It is a fuss-free and non-fancy restaurant, with hand-made dishes each time you order. 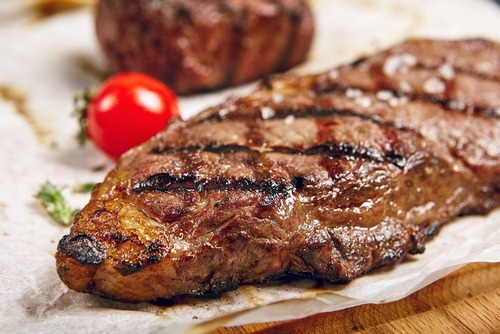 Loyal customers recommend to try out Ali Baba’s kabob steaks. Plum Blossom is a Chinese restaurant in Troy. If you are looking for a great Chinese takeaway for your chill Saturday night movie, don’t hesitate to call Plum Blossom. Locals say it is the best option in Troy for a Chinese takeout. However, the only downside is that they do not accept card payments, so even if the bill relatively comes in cheap, you have to make sure you have some cash on hand. If you have kids with you, Koni’s Broadway Café is a kid-friendly option. Most traveling families stop by Konis to have a relaxed and casual meal, from sandwiches, to shakes and salads. It is highly recommended that you visit Koni’s for lunch. Brown’s Brewing Co. is the place to go for your Saturday night out with your boys. It has outdoor seating and has great live music at night, too. Brown’s is still considered a local mainstay, even as Troy continues to develop into a more popular and hotspot area in New York. Take in a grab of chicken tenders to go with your local beer, to complete the Brown’s experience. Muddaddy has been nicknamed as a “fun, fast and casual food” joint; This tagline speaks so much truth about this restaurant. It serves food as delicious as its fun name. 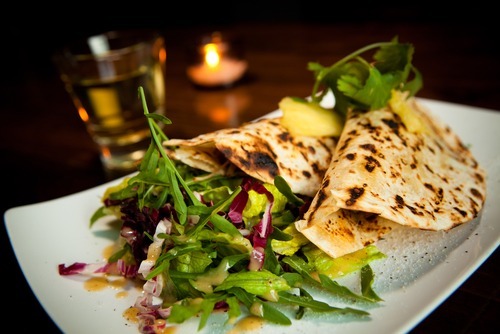 If you are trying to be health conscious, they serve a lot of gluten and dairy-free options, with a wide range of quesadillas to choose from. These are only few of the wide variety of restaurant options to choose from in downtown Troy. If you need more recommendations, the best thing for you to do is to ask the locals, too. You’ll be surprised to discover that locals might be recommending these places to you, also. A trip down to Troy will let you know how it is to experience going on a trip around the world by trying out different types of dishes, all in one place.